There has been a lot of movement in the hotel world lately, with ground being broken, doors being opened and guests being dazzled. Below you’ll find five we’re particularly excited about; some recently opened and some just getting started. Famous Parisian architect Dominique Perrault designed Meliá Vienna to stand apart. The exterior appears as a glazed, clearly structured, minimalistic monolith resembling a geometric waterfall with the façade’s breaking edge directed toward the city. The waterfall motif continues inside with geometric shapes present in the bedheads, bathroom walls and stone tiles with a stunning, floating spiral staircase connecting three main floors serving as the lobby’s focal point. 253 guestrooms inclusive of 14 design suites boast floor-to-ceiling windows with integrated glass elements that can be opened. Key room features include king DreaMax mattresses, complimentary Wi-Fi, IP interactive televisions, Nespresso coffee machines, rain showers and more. Rooms include the Meliá Guest Room, Premium Guest Room, Family Room, The LEVEL Suite, Junior Suite, Master Suite and Presidential Suite (accessible via private elevator, the 2,150-square-foot Presidential Suite’s exceptional design is complemented by a stunning 180-degree panoramic view of Vienna with a separate living and sleeping area, kitchenette, boardroom and lounge for 10 people, home movie theater with 72-inch LED IP TV and a lavish bathroom with sauna, infinity tub and double rain shower). 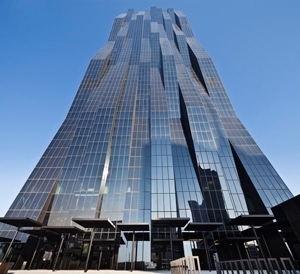 The 722-foot building boasts the first sustainable (AKA “Green Building”) credentials in Austria, utilizing natural and environmentally friendly products such as bamboo, straw, recycled stone, metal and other products which are non-toxic, reusable and renewable. The hotel is located in the upcoming business district next to Danube Island, the underground station located directly next to the hotel offers transport links to Vienna’s historical city center within eight minutes. Just 20 minutes by car from Vienna’s international airport, and within close proximity to Austria’s Centre Vienna, it is a convenient choice for both business and leisure travelers. Han Yue Lou Hotel Nanjing, a Solís managed hotel opened on March 22, 2014 offering 319 rooms, of which 124 are suites, a diverse selection of dining and entertainment concepts, a world-class spa, a fitness center that features an indoor heated lap pool and 25,000 square feet of ultra-modern meetings and events space. The hotel will be a premier location for guests and visitors as it is connected to the Yurun International Plaza complex, which offers dining, entertainment, retail outlets and luxury serviced apartments. The luxury hotel features interior design by the award-winning firm, BAMO of San Francisco, complemented by innovative restaurant designs by the New York-based SPIN and AvroKO. Situated in the heart of the Central Business District area of Jianye District, the hotel is conveniently close to Nanjing’s Olympic Stadium, Nanjing International Expo Center and 11km away from the Nanjing South Railway Station, China's premier high-speed rail network. The hotel offers a special Club floor consisting of 40 rooms with private entrance to the Club Lounge featuring three separate dining experiences, complimentary liquors, chocolates and cordials. Culinary experiences at the hotel include the Jiu Jiu Yuan Chinese Restaurant, a warm and inviting establishment inspired by the majestic estate homes of ancient China. Jiu Jiu Yuan’s award-winning chefs showcase local Nanjing cuisine, regional Huaiyang delights as well as Cantonese and Sichuanese dishes. The hotel’s Grill and Rye Bar, also designed by SPIN, feature the ambience of a traditional steak house, fused with the sensibilities of an elegant private club. The Grill showcases an open roasting grill that delivers some of the most succulent and fresh cuts of meats in the region. The Grill’s Private Dining Room is an ideal meeting point for intimate dinners and meetings. 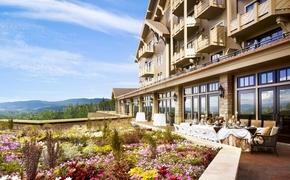 The hotel’s multi-purpose meeting space features two ballrooms, eight function rooms and one VIP room. The Grand Ballroom is be able to seat up to 800 people while the Junior Ballroom can hold up to 250 people. The spa’s 11 private suites are well-matched for singles and couples, complemented by spacious changing areas, personal showers, whirlpools and an adjacent fitness center. The fitness center is equipped with the latest high-tech cardio equipment from Techno-Gym, free weights, an indoor lap pool and studio space for Yoga and Pilates classes. 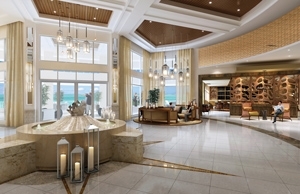 Playa Largo Resort & Spa: Key Largo, Fla.
Largo Resort & Spa, the newest addition to Marriott’s Autograph Collection, is set to open on Key Largo, Florida in the summer of 2015. The construction, which began in early 2014, marks the first new full-service resort to be built on Key Largo in 20 years. Prime Hospitality Group (PHG), a recognized developer in Florida, and Shaner Hotels, one of the foremost owner-operator companies in the hospitality industry, have come together to bring a new level of luxury accommodations to the area. Inspired by Key Largo’s rich ecosystem and vast natural beauty, Playa Largo Resort & Spa will sit upon 14.5 exclusive waterfront acres and draw on its surroundings to inspire the elegant yet breezy aesthetic of the 154-room resort that includes ten private bungalows. A standalone beach house will also surround guests with the same chic Ameri-Caribbean look and feel conceptualized by Prime Design Associates, LLC. The Gettys Group has been tasked with managing all aspects of the property’s interior design. Conceived from a desire to offer Key Largo visitors an upscale and modern full-service resort for both leisure and groups, Playa Largo Resort & Spa will redefine what it means to travel to the Florida Keys. From a 6,000 square foot ballroom ideal for corporate events to a picturesque formal lawn perfect for banquets and weddings, this new resort will provide a pristine location for beach vacations, destination weddings and meetings. Playa Largo Resort & Spa will offer a wide range of upscale amenities and services that will appeal to guests of all ages. The resort’s expansive waterfront pool and 745 feet of white sand beach provide places to lounge, while a state-of-the-art fitness center, two tennis courts, basketball court and various watersport rentals offer active entertaining on-property diversions. Adults can pamper themselves at the full-service spa and salon while the little ones enjoy the Kids Activity and Nature Learning Center. Boaters can anchor down at the resort’s private marina and enjoy lunch or dinner at Playa Largo Resort & Spa’s Marina Grill restaurant. The Sunset Restaurant will present mouth-watering options for all three daily meals while the beachfront Tiki Bar offers premium libations and a front row seat for spectacular sunset views. Virgin Hotels, the lifestyle hotel brand by Virgin Group founder and British entrepreneur Sir Richard Branson, has announced plans to open and operate a new hotel in Nashville, Tennessee. Expected to open in 2016, Virgin Hotels Nashville will be managed by Virgin Hotels and developed by Nashville’s own, David Chase, of D.F. 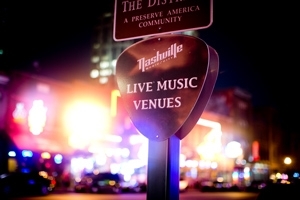 Chase Inc.
Virgin Hotels Nashville will feature 240 guest rooms, multiple concept suites, food and beverage outlets, and fitting for Music City, a cutting edge recording studio. Hotel G: San Francisco, Calif. Following an extensive two-year renovation of an early twentieth century building, Hotel G will celebrate its highly anticipated opening on May 2, bringing a fresh, reimagined perspective to the innovative spirit of San Francisco. This ideal lifestyle hotel combines residential sophistication with a laid back, authentic local vibe complemented by tailor-made services. Boasting an ideal location in the center of San Francisco’s fashionable Union Square, the energy of the city is just outside the door. From first-class shopping and world-renowned dining to award-winning theater, a bustling arts district and even a ride on a historic cable car, the options for guests to experience the city are endless. Comprised of 153 guestrooms on 13 floors, Hotel G provides a natural home base for downtime between work and play, welcoming leisure and business travelers with a natural aesthetic, calming design and relaxing accommodations. Originally built in 1908 as The Fielding Hotel, much of the emphasis of the hotel transformation was about staying true to the historic design of the building. Many of the original features were carefully restored, including wood and concrete flooring in the guestrooms and hallways, and the building’s original façade. Designed by New York-based Hun Aw Studio to bring a visually stimulating fusion of contemporary and classic, the hotel features fog-colored walls, wood finishes and earthy fabrics and textiles juxtaposed with clean lines, pops of color and fair-trade accents and art. Furnishings are crisp, simple and functional, providing a natural, almost frontier aesthetic that pays homage to the hotel’s past. 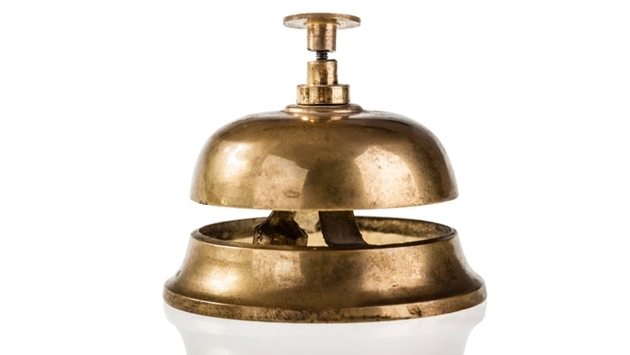 Pieces include Victorian settees, vintage schoolhouse chairs, banker’s lamps and mid-century writing desks. Hotel G has partnered with San Francisco-based Creativity Explored, a nonprofit arts center for developmentally disabled adults, to curate, showcase and sell artwork. A diverse mix of abstract paintings, intricately detailed pen and ink drawings, colorful ceramics, folk textiles, digital prints, collages, and mixed-media sculpture will adorn guestrooms. All of the artwork is available for sale with proceeds going directly to the artist. Amenities honor today’s modern necessities with flat-screen SMART TVs, docking stations, Nespresso coffee makers and complimentary WiFi. Additional conveniences include a meeting room for casual get-togethers or formal board meetings and a Technogym opening this summer.